At long last, the worst-kept secret in Motown has made its official debut. 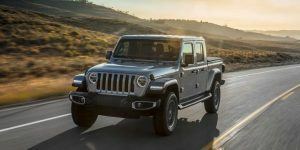 The 2020 Jeep Gladiator truck was just unveiled at the Los Angeles Auto Show, melding the unabashed ruggedness of a Wrangler with all the usefulness of a midsize pickup. 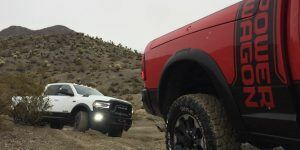 Given its anvil-tough body-on-frame underpinnings, FCA is billing this as the toughest model in its class, a segment that includes products like the Toyota Tacoma, Chevrolet Colorado and soon-to-launch Ford Ranger. It should also be the most capable. 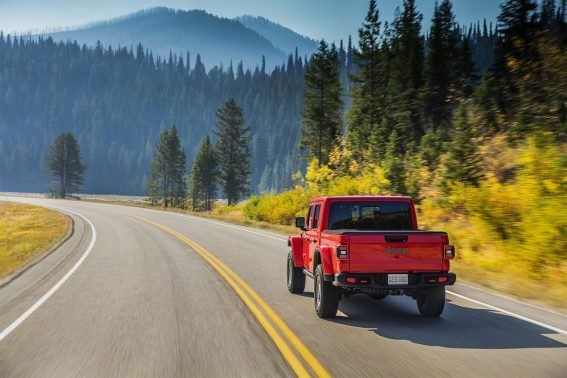 Gladiator is expected to offer chart-topping tow and payload ratings of up to 7,650 pounds (3,470 kg) and 1,600 pounds (726 kg), respectively. 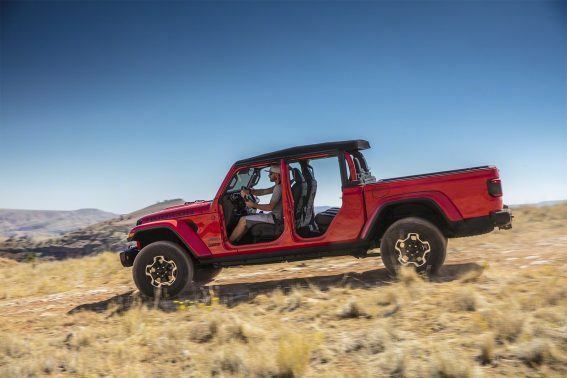 Naturally, it will also provide oodles of off-road capability. 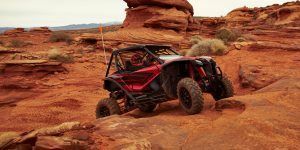 Third-generation Dana 44 axles support the body, with Command-Trac or Rock-Trac 4×4 systems on the menu. 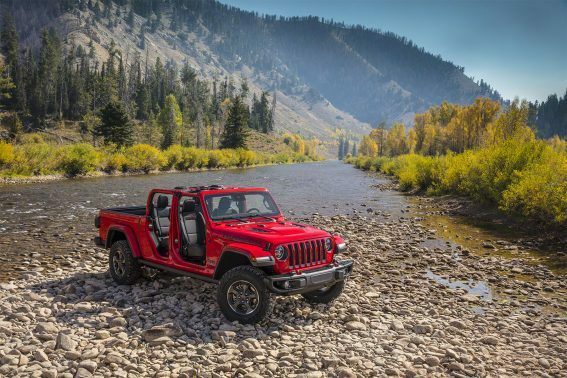 Electrically locking differentials, a disconnecting sway-bar and up to 33-inch off-road tires allow this vehicle to drive through nearly three feet of water. A phalanx of underbody shields protects its vitals from punishing blows dished out by unrelenting surfaces. 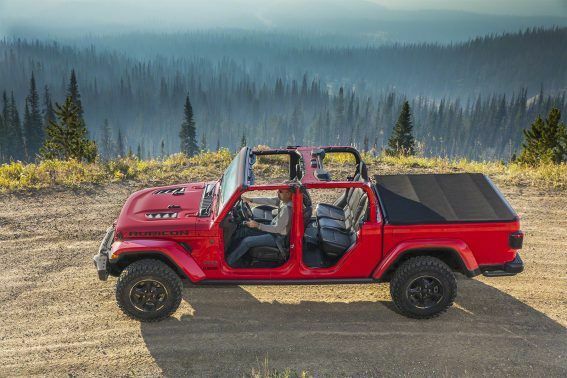 Keeping weight in check, this vehicle’s four doors and their hinges as well as the hood, fenders, tailgate and windshield frame are all made of aluminum. 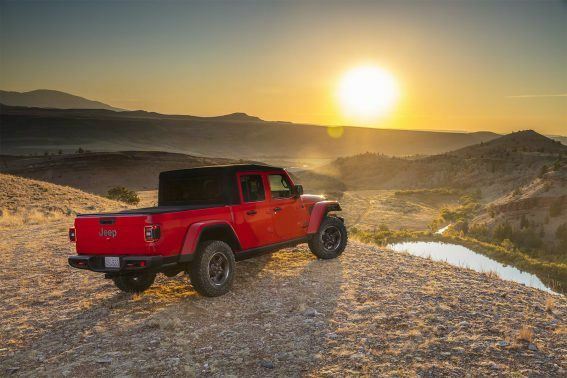 Now, none of this technical data should be a surprise as this is what’s essentially offered in the standard Jeep Wrangler. 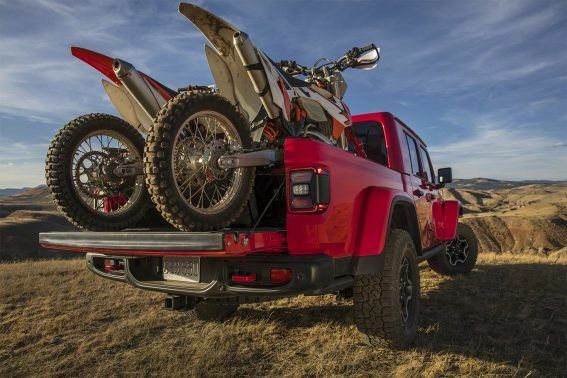 But what matters most in a pickup is its bed and the Gladiator’s should be highly versatile. At five feet in length (152.4 cm) this steel cargo box features under-rail tie-downs, an external 115-volt power outlet and even an available spray-in liner to keep it looking good for years to come. Power in the Gladiator is provided by a pair of proven engines. 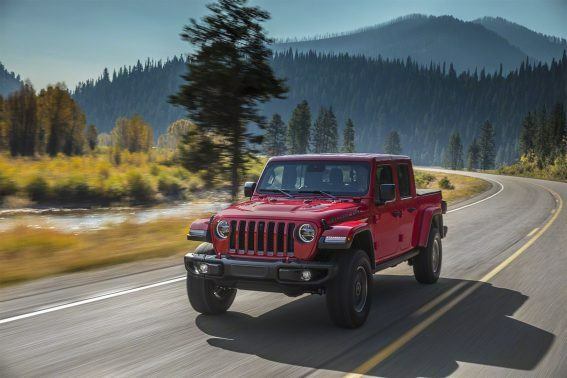 A friendly and familiar 3.6-liter Pentastar gasoline V6 with fuel-saving stop-start offers 285 horses and 260 pound-feet of torque. It can be matched to either an eight-speed automatic transmission or a manual gearbox with six forward ratios. For drivers that want even more torque and likely significantly greater fuel economy, a 3.0-liter EcoDiesel V6 will also be offered. Its exclusive dance partner is an eight-speed automatic transmission, however, if you love oil-burners, don’t get too excited. This engine will become available at some point in 2020, not at launch. 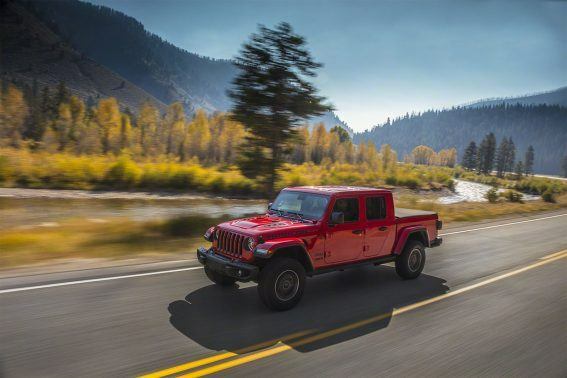 It should offer 260 horsepower and a crushing 442 pound-feet of torque. The Gladiator will be available in four different trims: Sport, Sport S, Overland and Rubicon so it should appeal to a wide range of customers. Top-shelf Rubicon models get a forward-facing off-road camera for enhanced performance in the dirt. 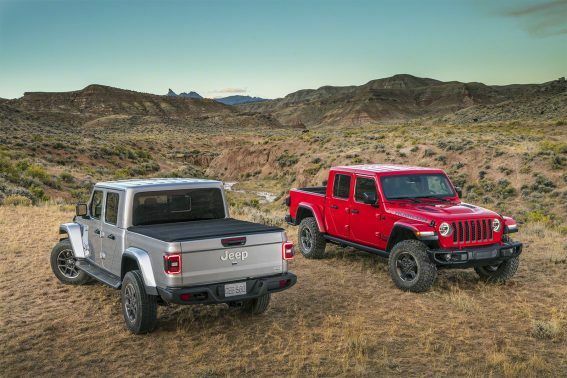 Look for the new Gladiator pickup at dealerships in the second quarter of 2019. 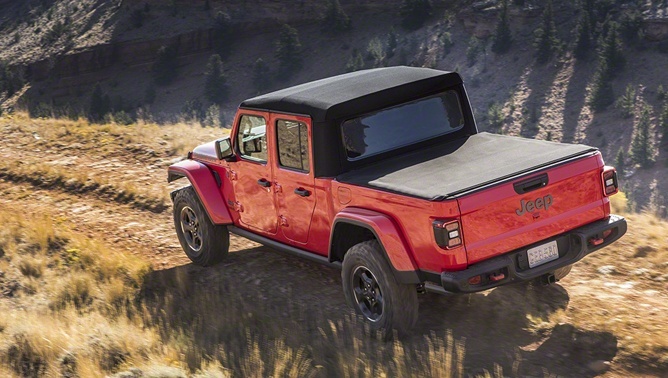 Undoubtedly, demand will be high for this versatile and shockingly capable truck, a product Jeep faithful have been waiting years for.